Man this book was not what I hoped it would be. I heard lots of fantastic things about this book and I loved The Winner's Curse. Alas, this book and I were just never meant to be. 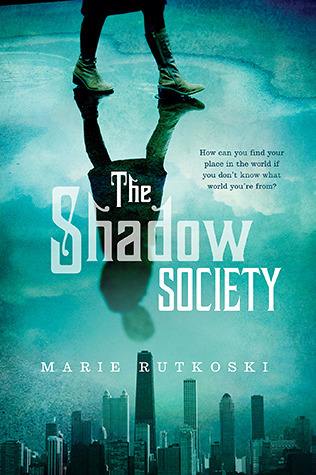 I can't really decide if The Shadow Society is a paranormal or science fiction- it seems to be a combination of the two. I think the main problem I had with this book is Darcy. I get that she is shy and quiet, but I never really get to like her, mainly because I never see much of her personality. She likes art, she is quiet (but not too quiet)- it isn't enough for me to go on to care. That is the main problem I have with Conn too... the author did such a good job making me dislike him, that I never regained any liking. I almost put The Shadow Society down a few times. I kept hoping that the book would miraculously turn around for me but it never did. It wasn't a horrible book, just meh. I don't have big feelings about it other than being disappointed. The shining star in this book were Darcy's friends, and they were not in 80% of the book (which was incredibly sad considering how much I enjoyed them). This was a pass for me. Thankfully though, I enjoy the author's other books so I will keep on reading her stories.